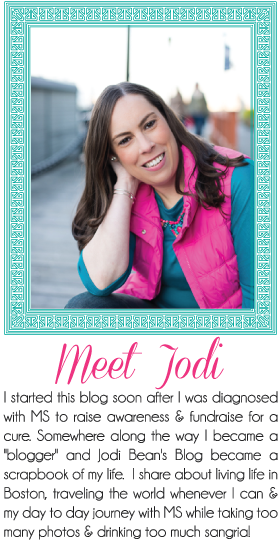 Jodi Bean's Blog: TGIF! 2 Weeks Until MS Challenge Walk!!!!! Howdy friends. I'm so happy it is Friday!!! I'm ready for a weekend at home after being in NYC and Maine the last couple of weeks. On the weekend agenda is a LONG training walk. Let's hope for NO blisters. When the "change of clothes" bag arrives in the mail you know things are getting REAL. The MS Challenge Walk is in 2 weeks. 2 weeks. Ugh!! I can't believe how soon it is. I'm so excited and nervous. We each have to raise $1,500 to participate or $9,000 as a team. We are SO close right now at $8,330 so if you would like to help us please donate. Every dollar helps so feel free to donate any amount! Go here to donate to me directly. Go here to donate to our team. THANK YOU! Look I'm famous. . . see that girl in the red dress? That's me!!!! Much to my surprise I'm on the National MS Society's webpage for the Fashion Plates link. Very cool. The Bean Team is making last minute preparations for the walk. 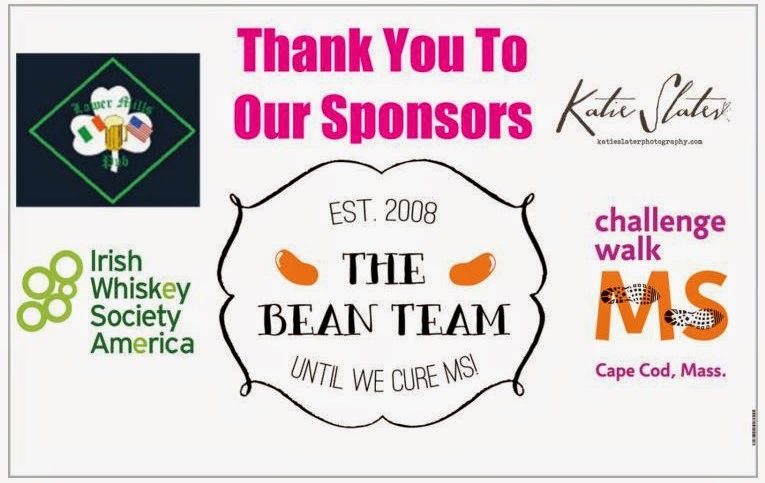 The banner has been ordered featuring our sponsors, Lower Mills Pub, Irish Whiskey Society and Katie Slater Photography. Our team shirts have been ordered too. They are pink! You'll just have to wait to see those! 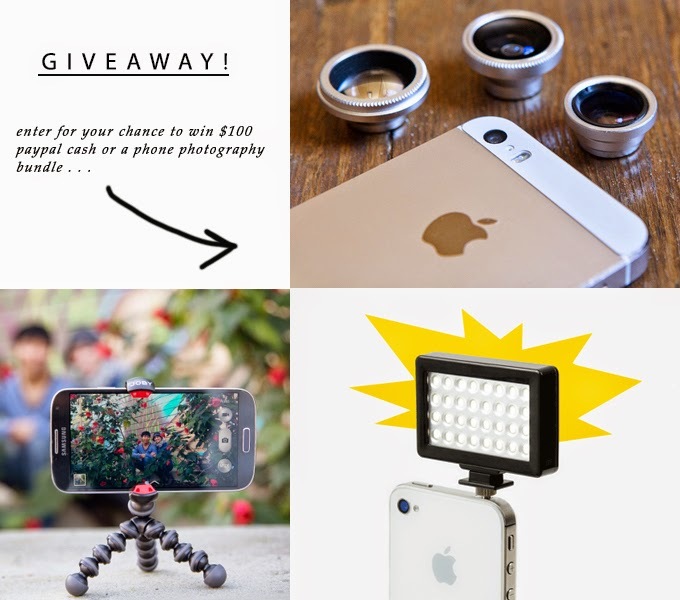 There is still time to enter my giveaway. Go here to enter! P.S. Come back next week to hear about my time in NYC! Can't believe it is in 2 weeks. Hope your training walk went well.